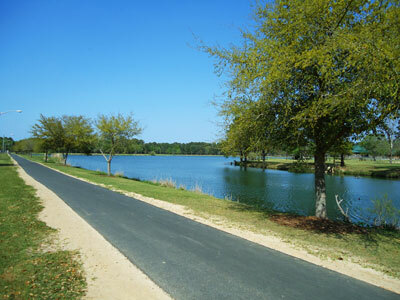 About 8 miles south of Savannah, this is an opportunity to run around a park, a lake, and a plantation. The centerpiece of the run is the 1.4 mile loop around Lake Mayer. In addition to the paved path, there is a nice dirt/grass section along the entire loop just to the outside of the pavement. Also neighboring this lake are tennis courts, a sailing center, volleyball and basketball courts, plus much more. That’s fine as a standalone run. A nice add-on is to run over to the Wormsloe Historic Site (used to be called Wormsloe Plantation). The tabby ruins of Wormsloe, are the oldest standing structure in Savannah. There are some nature trails around the estate, but the running highlight is a breathtaking mile-long avenue sheltered by live oaks and Spanish moss. It’s about 1.5 miles from Lake Mayer to Wormsloe, using E. Montgomery Cross Rd. and Skidaway Rd. Montgomery has a nice carriage road for running, separated from traffic. Skidaway has no sidewalk, so use caution. 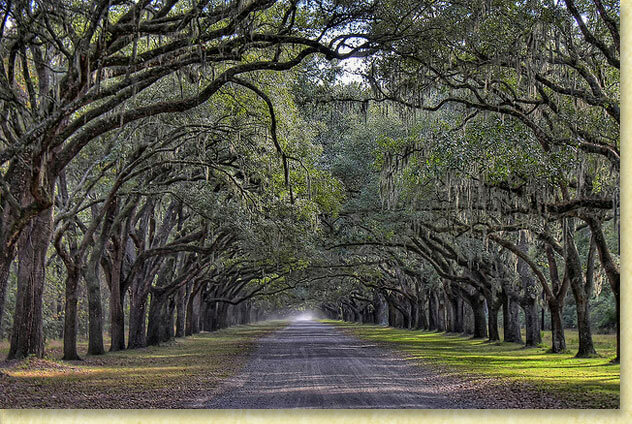 Once at Wormsloe, add another 1-2 miles to enjoy the “Oak Avenue”. So this is a 6-7 mile round-trip run.